Holding that Air Wisconsin was liable for defamation, the Colorado Supreme Court first found that the ATSA immunity did not apply to Air Wisconsin because Doyle recklessly disregarded the truth when making his statement about Hoeper to TSA. Specifically, Doyle knew Hoeper had not been terminated that day and he lacked information to form an opinion on Hoeper’s mental stability or to imply that Hoeper was armed. The court further pointed out that Doyle could not have been very concerned about Hoeper’s mental state because he sent Hoeper to the airport that same day with another Air Wisconsin employee and did not initially write down any of his concerns in his notes. While his statements to the TSA suggested that Hoeper was so unstable that he might pose a threat to security, his actions demonstrated that he did not truly believe that to be the case. Since Air Wisconsin was not immune to Hoeper’s suit, the court went on to apply Virginia state law to find that Doyle made a false statement to TSA with actual malice. 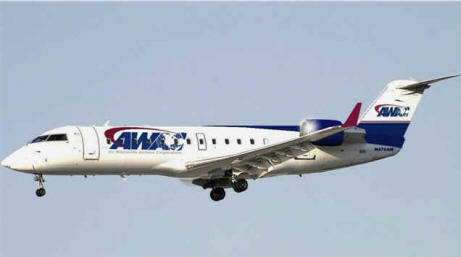 Air Wisconsin was therefore liable for damages.